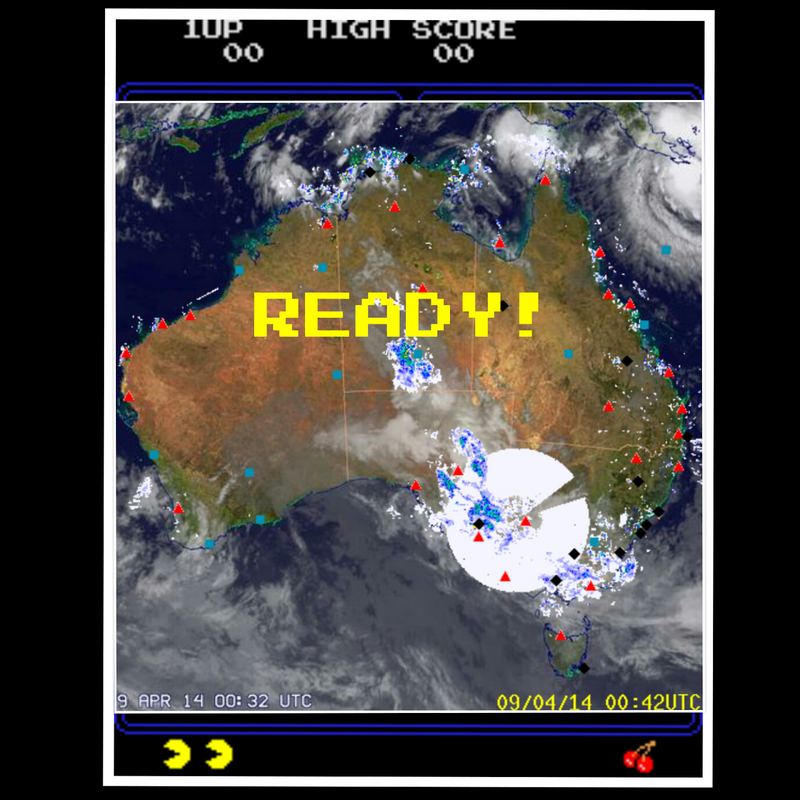 SATIRE: Severe Pac-Man Warning for south east Australia. National radar imagery as at 12:18pm EST showing a large Pacman covering large areas of South Australia, Victoria and New South Wales - presumably mistaking the radar and weather stations for Pac-Dots (or pellets). Residents are advised to remain calm and look for 'power pellets' or Cherries. Ok, there's actually no warning of course! It appears one of the local radar images for Mildura didn't blend so well for the national imagery and appear as a large circle with a wedge missing.